Carl D. Gales dba KAS Gales Co. In establishing great working relationships with our public and private sector clients we also ensure quality services by adopting industry certifications such as the “Certified Geographic Information Systems Professional (GISP)” and “Certified Environmental Professional (CEP)” programs which promote professional ethics. We provide provide excellent support for all products and services we offer. Our professionals are able to support you via phone, email, remote web sessions and on-site as needed. Just added to all of our websites is the new online live support. Wind Environmental Services is A Trimble Authorized Service Provider. We provide warranty and non warranty repair service for Trimble. 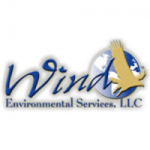 Wind Environmental Services strives to get you the Geospatial tools you need that not only assist in meeting your project deliverables but also can assist you in saving money$$ within your program.